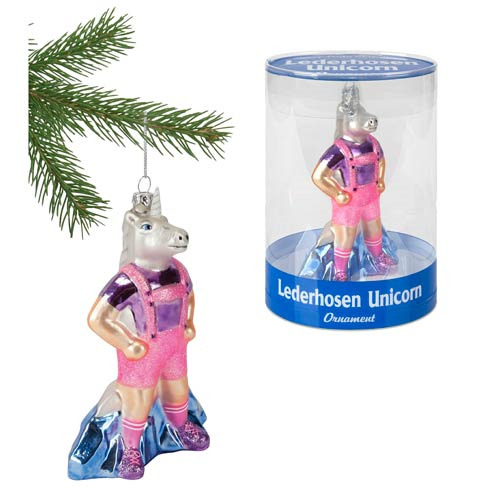 This glass 5 3/4-inch tall Lederhosen Unicorn Glass Ornament is wearing pink lederhosen. Why? Because when Accoutrements sets out to make ornaments, this was the most awesome thing they could think of. Includes a string for hanging, but can also stand on its own.